Cannabissearch.com Buzz Rating: Enjoy a relaxing, somewhat sedating effect that will last as long as an hour, before putting many users to sleep. This strain is ideal for PM use. Deep Chunk from Tom Hill was selected as the mother in this breeding, while Cheese Quake from Subcool was chosen as the father. The mother contributes a short, compact stature with great flavors and potency. The male contributes a slightly larger overall structure, bigger yields and even more potency than Deep Chunk. The buds are somewhat small, dense and packed full of trichomes, with short rust-orange pistils and flavors of sweet candy and fresh berries. This is a good strain for gardeners using a grow box or who have limited room indoors, as it will not even stretch double in height, at the end of flowering. For indoor growers who don't have concerns about height, they can feel comfortable vegetating this one as long as nine or even 10 weeks. Vegetating for this long will ensure a much bigger yield, while keeping the height around six feet. Outdoor gardeners will see a harvest by the end of September or early October, in the Northern Hemisphere. Yields will be low to moderate, when cultivated outdoors, but will make up for what they lack in quantity with buds of superior quality. Soil cultivation has proven to be the best medium for these ladies. 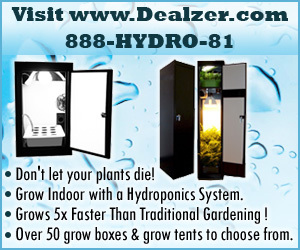 Hydro can produce a variety of issues, such as bud rot and powdery mildew. Deep Cheese Quake Chunk 0 out of 5 based on 0 ratings. 0 user reviews.